Well, with the onset of summer, one needs a few basic changes in life… A huge bottle of cold water, a bowl of chilled summer fruits, new bright-coloured umbrellas and not to forget, a collection of good, oil-absorbing clay-based masks! DESCRIPTION: Fabeya Moroccan rhassoul clay mask softens the skin, reduces sebum secretion, regenerates the skin by removing dead cells and rebalances the skin by tightening the pores. • Skin Detox: Fabeya Moroccan rhassoul clay detoxifies the skin by soaking up the surface oils and stale sebum stuck deep within the pores, preventing pimples and blackheads from forming. 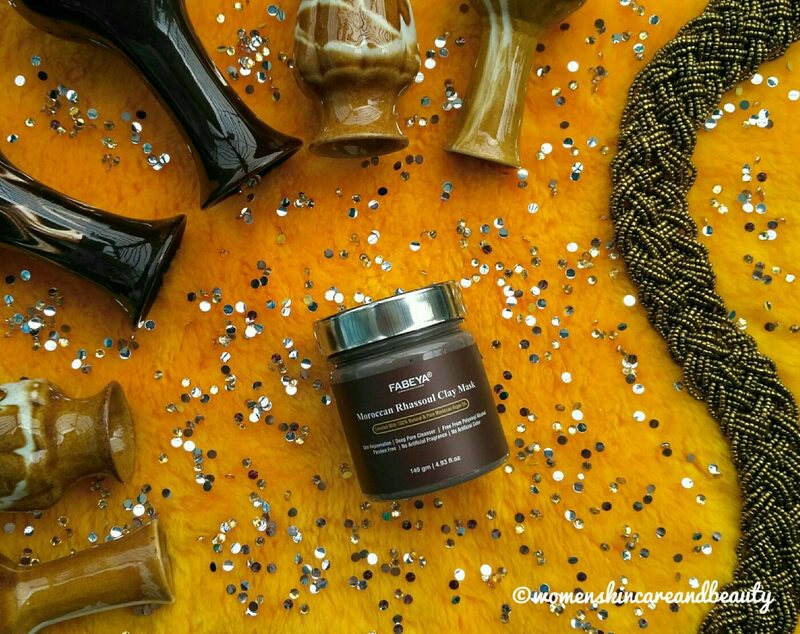 • Moroccan Argan Oil: Fabeya Moroccan rhassoul clay mask is enriched with 100% natural and pure Moroccan argan oil. Rich vitamins, minerals and antioxidants present in argan oil help fight the signs of aging. • Long Lasting Moisturization: Facemasks tend to dry out the skin after the mask has been removed. Fabeya Moroccan rhassoul clay has been enriched with organic aloe vera extract which gives lasting moisturization to your skin, after product removal. • Organic Mixed Tocopherol (Vitamin E): Fabeya Moroccan rhassoul clay is enriched with vitamin E, its main role is as that of an antioxidant. It helps maintain the natural glow of the skin and makes it softer. INGREDIENTS: Purified Water, Moroccan Rhassoul Clay, Zinc Oxide, Polypropylene Glycol, 100% Organic Aloe Vera Juice, Glycerin, Titanium Dioxide, Xanthan Gum, Glycolic Acid, Allantoin, Imidazolidinyl Urea, 100% Natural And Pure Argan Oil, 100% Organic Mixed Tocopherol (Vitamin E), Disodium EDTA. DIRECTION OF USE: Apply a thin but generous uniform layer of mask to cleansed skin. If applying on the face, avoid the eyes and lip area. Leave mask for 15-20 mins until dry. Use warm water to wash the face in a circular motion to gently remove the mask. Pat dry with a clean cloth. Use Fabeya cocoa butter cream for better results. CAUTION: For external use only. Discontinue if redness or irritation occurs. 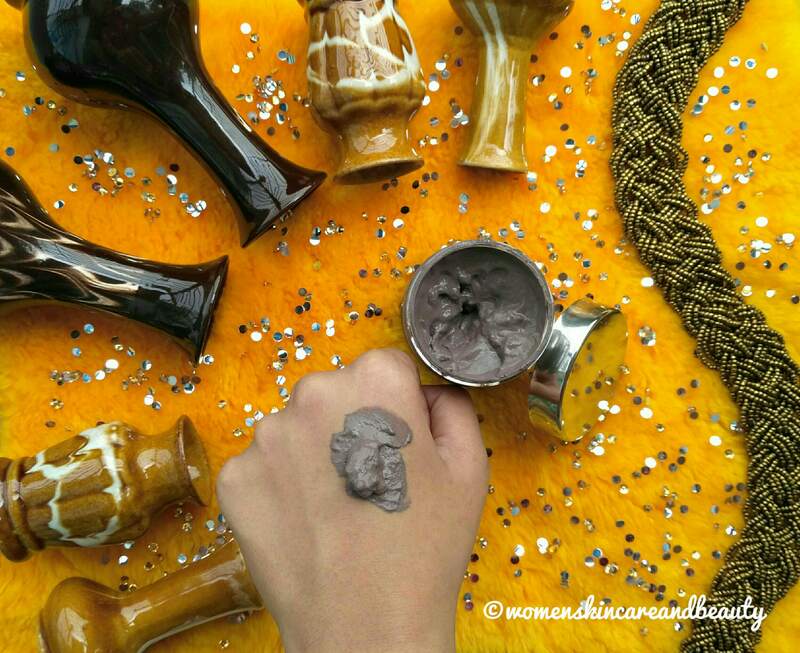 The Moroccan clay mask is greyish-brown in colour and has a lightweight, spongy consistency. The texture of this mask is quite smooth and it spreads on the skin with ease! The fragrance is mild to moderately strong and lingers (with much-decreased intensity) for a good 10-15 minutes after application. Hence, in my opinion, people with sensitive noses may find it a little bothersome! Due to its easily spreadable consistency, a coin-sized amount of the mask is enough to uniformly cover the entire face and neck… It doesn’t tingle or irritate the skin and instead provides the skin with a mild soothing sensation! The mask gets completely dry within 15 minutes and rinses off pretty easily with just a little massage… It cleanses the skin really well and draws out oil and impurities from the pores, leaving the skin clean, calm, fresh and rejuvenated! 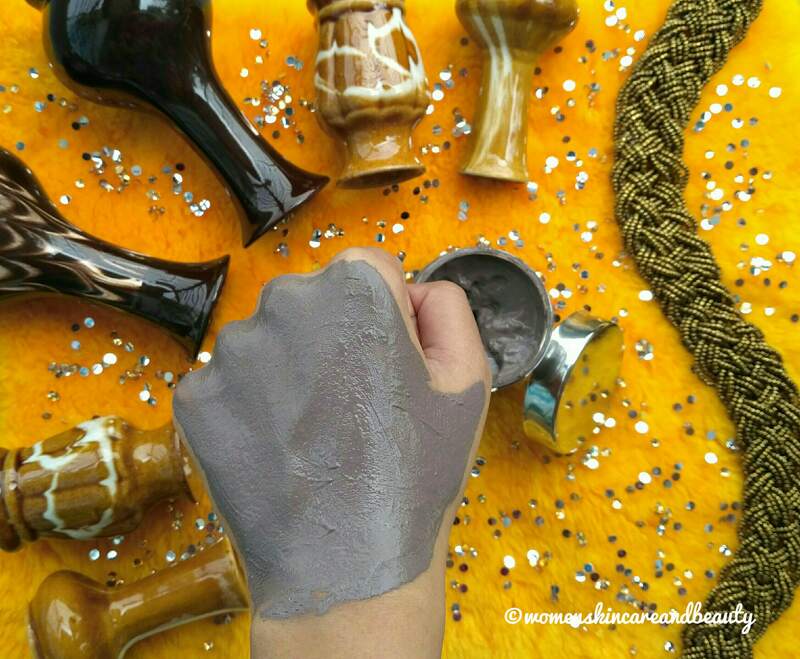 Unlike most of the other clay-based masks, this rhassoul clay mask is not at all drying… Right now, I have a normal-combination facial skin type and this mask does not leave my skin dry or stretchy… Instead, many times, I have felt that it adds a bit of hydration to my skin! 1. Available online on amazon.in. 2. Sturdy & leak-proof packaging! 3. Free from polyvinyl alcohol, parabens, artificial fragrance and artificial colours. 4. Has an extremely pleasant fragrance! 5. Perfect consistency; it spreads on the skin with ease. 6. Provides a mild soothing sensation. 7. Draws out oil and impurities from the pores, leaving the skin clean, fresh and rejuvenated! 8. Makes the skin appear brighter, post use! 9. Doesn’t dry out the skin; suitable for all skin types ranging between normal-dry to extremely oily ones. 1. Not suitable for dry to extremely dry skin types. 2. The fragrance may bother sensitive noses. FINAL TAKE: Fabeya Moroccan rhassoul clay mask is an effective oil-absorbing mask that leaves the skin fresh, bright and rejuvenated! Thanks for another honest review dear. I wish i could try this but i have really dry skin. I have oily skin and this might work best on me. I don’t care about fragrance as far it gives me good results. I have dry and dehydrated skin so will have to skip this one but love the fact that brand includes list of ingredients and other useful info on the packaging. Generally these sort of products smell quite bad but am glad that this one is an exception. Would definitely try this summer. The Fabeya Moroccan Rhassoul Clay Mask appears to be a nice product. The best thing is that the product does not have parabens and other artificial ingredients. 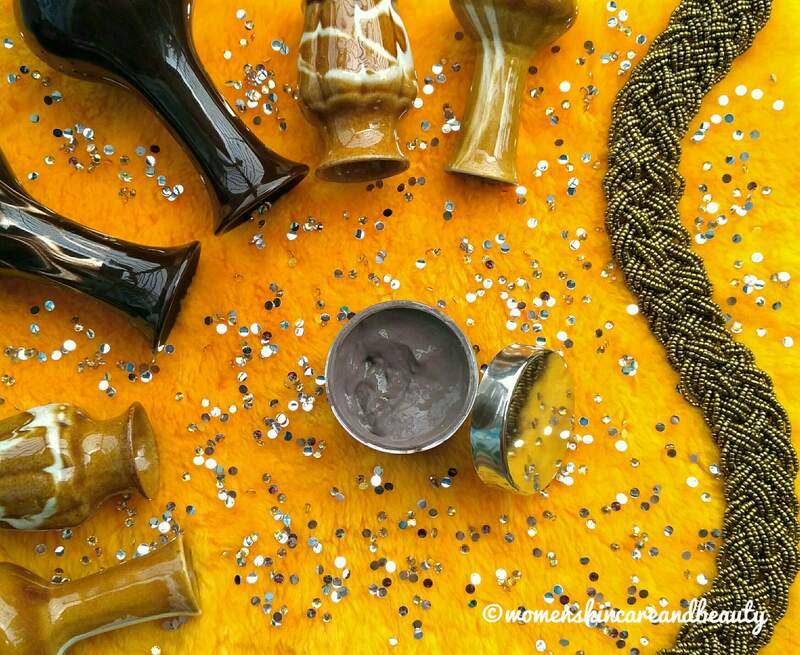 The goodness of clay is well known and the consistency of the product to looks really appropriate. Moroccan Rhassoul clay mask sounds interesting, I am using Fabeya alerovera and lemon gel and both works nice on my skin, I have combination skin so surely going to try this one. Oh I was thinking of trying this but I have dry skin. So guess it’s not for me then. Yes, this wouldn’t suit you! I have a combination skin, but more of oily. Mostly this masks might gonna work for me. Fabeya Moroccan rhassoul clay mask seems worth trying. All ingredients are really good for skin. I’ll definitely check out this one. Beautiful detailed review as usual and this product indeed looks good. My only concern is how it will work on dry skin…So must think and then buy this. 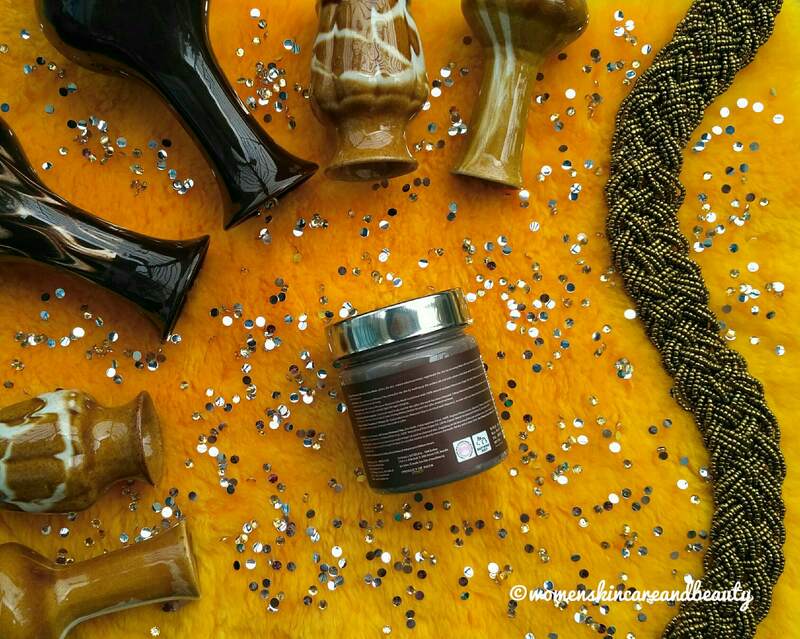 I have used Rhassoul clay for hair and had been immensely benefited. I surely want to try for my skin now. Actually the points which states it leaves mild soothing sensation and a pleasant fragrance interests me a lot to buy this product. Thank you for sharing this amazing and detailed review. Clay masks are my skin’s best friends. specially during summer I can’t seem to do without clay mask dose. It would be great to try out a new brand. Good to know that it makes skin look brighter and has a perfect consistency with a lovely fragrance. Will certainly try out this mask. The mask seems effective but as i have dry skin type ,i think i can’t use this more . very honest review.. 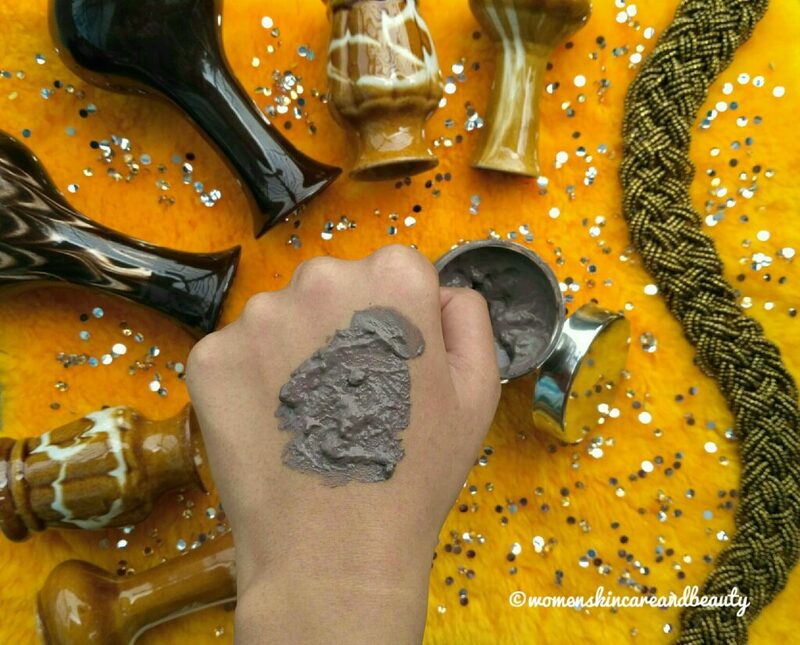 Awesome, love the fact that Fabeya Moroccan rhassoul clay is enriched with vitamin E and has a mild fragrance. Will definitely try it. I have a super oily skin type and this clay mask sounds perfect for the upcoming summer weather for me. I will try it for sure.